Rob is one of the newest members of Island Muffler & Car Repair Services bringing 30 years of mechanic experience to the Victoria area. 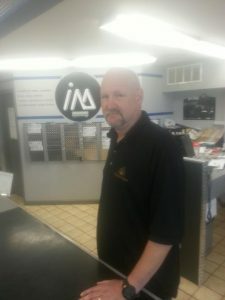 Over the past ten years he has been working in more of a service capacity in the front lines helping customers resolve their automotive maintenance and repair services challenges. Rob has been married for 26 years and is the proud father of two daughters. Rob has always had a passion for fixing cars which began in his teens, starting with a 57 Belvedere and modifying the 383 motor with a four barrel Carter 1100, among many other high performance alterations. He continues his passions to this day. When Rob isn’t fixing or coordinating car repairs he lives on a small farm with goats, chickens, horses and dogs. He also has a passion for video, photography and kayaking.